The annual Bristol NUJ/Arnolfini Benn Lecture aims to be a live debate in which the community, our colleagues and a guest speaker discuss the most pressing media issues of our times. Back in 2005, when jobs were being lost at the Bristol Evening Post and the Western Daily Press, the branch decided to create some kind of free forum in which our members could talk and reflect on journalism matters alongside the Bristol public. So branch executive member Tony Gosling approached Arnolfini Director Tom Trevor, who kindly agreed to host, publicise and support the series in the South-West’s most avant-garde art gallery. The lectures have been a fantastic success and now, four years on, they are an established part of Bristol NUJ’s calendar. 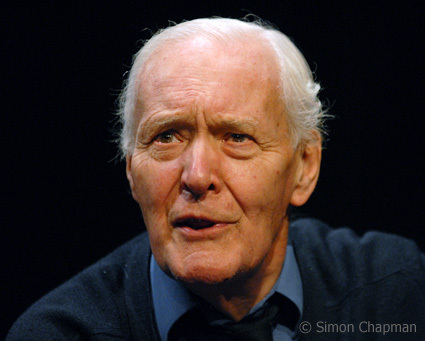 In 2006 Tony Benn spoke with passion about truth-telling and lies. In 2007 Andrew Gilligan revealed his role in the David Kelly affair and the Hutton Report. Last year, Yasmin Alibhai-Brown candidly talked about being a pioneering Asian Muslim woman columnist on a UK national title. The lecture, which kicks off at 7 pm, usually lasts for around an hour, with the second hour devoted to audience questions and answers, and more hours still in the bar. This year’s Benn Lecture is on Thursday 26th November, when bestselling award-winning investigative journalist Nick Davies will join us to speak on ‘Bad news: What’s wrong with the press’. NUJ Bristol branch is grateful to Tom and Arnolfini for their hospitality, and to Tony Gosling for having taken this initiative. Most of all we thank our Benn Lecturers themselves, who travel a long way and receive only expenses and a small honorarium, for sharing their insights and experiences.